Supervised by Assistant Professor Eftekhar Eftekharpour, Jesua is part of a research team that is investigating a possible biological connection between diabetes and dementia. While recent population studies point to a correlation between diabetes and an increased risk of developing dementia, researchers don’t yet know the exact biological mechanisms that explain it. Jesua is spending his summer investigating one possible answer. In patients with dementia, brain cells have died or stopped working properly. This causes a decline in cognitive function. Researchers know this happens when cells react to ‘trauma’ by releasing harmful proteins that cause their own death or damage. Since people with diabetes tend to have high concentrations of sugar (glucose) in their blood stream, Jesua is testing to see if the cells react to glucose as though it is a trauma, and if they do, in what way. If that is the case, the cells will either become damaged or die, thereby helping to explain the connection between diabetes and dementia. Professor Eftekharpour and Jesua hope this research could contribute to the development of medications or therapies that target dementia at its earliest stages. 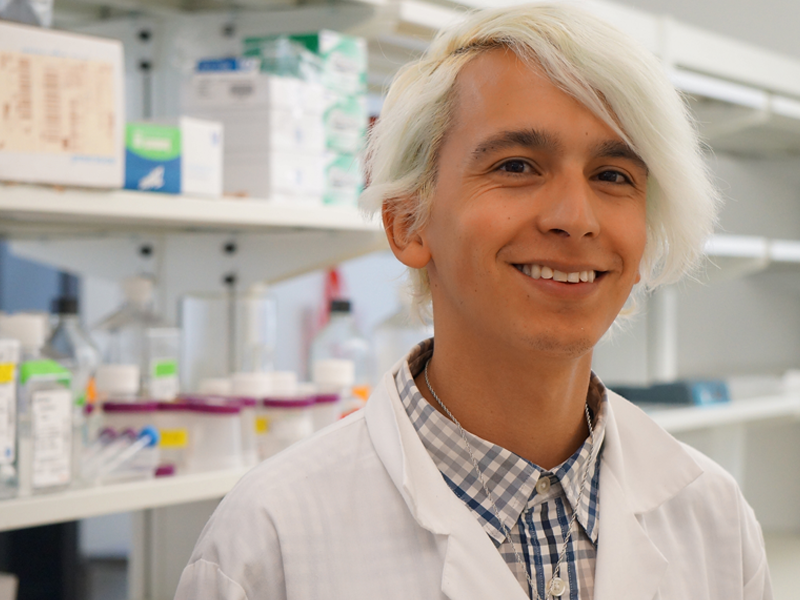 When he’s not in the lab contributing to this important research first-hand, Jesua has found a rich experience in Winnipeg, “This city is so diverse — it’s been amazing to connect with people from different backgrounds, and to step out from what’s familiar to me. Mitacs thanks the Government of Canada and Research Manitoba for their support of the Globalink research internship in this story. Across Canada, the Globalink research internship program also receives support from Alberta Innovates, the Government of British Columbia, the Government of New Brunswick, the Government of Newfoundland and Labrador, the Government of Nova Scotia, the Government of Ontario, the Government of Prince Edward Island, the Government of Quebec, and the Government of Saskatchewan. In addition, Mitacs is pleased to work with the following international partners to support the Globalink program: Universities Australia; the China Scholarship Council; Campus France; the German Academic Exchange Service; Mexico’s Secretariat of Public Education, Tecnológico de Monterrey, and the National Autonomous University of Mexico; Saudi Arabia’s Ministry of Education; and Tunisia’s Ministry of Higher Education and Scientific Research and Mission Universitaire de Tunisie en Amerique du Nord.